Implant restorations are so well designed that they mimic the look and feel of natural teeth. 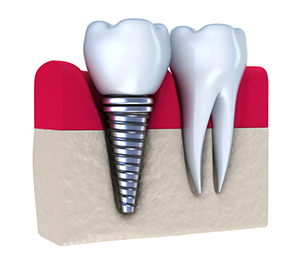 Implant restorations are usually made of a synthetic yet biocompatible material like metal or ceramic. Because implant restorations require surgery, patients are administered anesthesia and, if necessary, antibiotics to stave off infection following the procedure. in Columbia, SC at (803) 772-5161 for an appointment today!